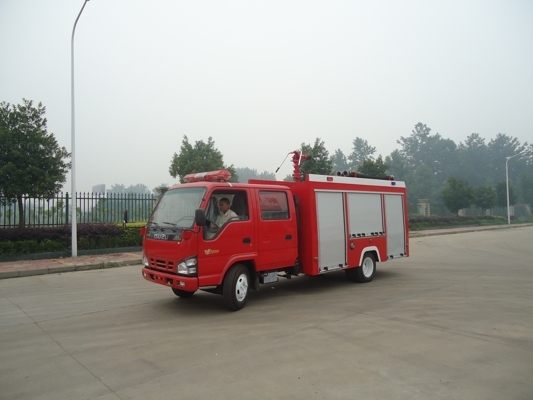 Water Tank Fire Fighting Truck body is welded by Q235B steel panel. 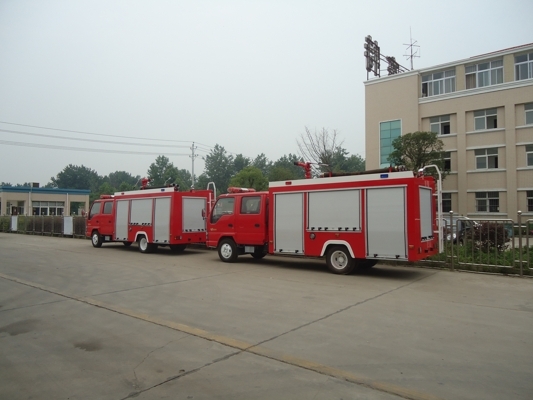 Fire fighting truck whole aluminium alloy rolling doors, the pedal under tank body is made by pneumatic spring structure, small equipment boxes are installed at the pedal place. The rack and panel are all made by new-style aluminium alloy structural material and checkered plate. The top of cabin installed alarming lamp, communication equipment installed inside the cabin. 4 round alarm lights on top of cabin, 1 distant control searching spotlight at rear, 6 pieces of flash light installed separately on two sides of compartment, 2 pieces of clearance lamps at rear. 5000Liter Water Tank Fire Fighting Truck ISUZU Brand is made by our company adopting new technique, new process and new material, Water Tank Fire Fighting Truck is popular with special fire fighting teams and oil-field. Water Tank Fire Fighting Truck is refitted by ISUZU chassis, matched Engine 130HP. vehicle speed 85km/h, allowable 4 passengers. 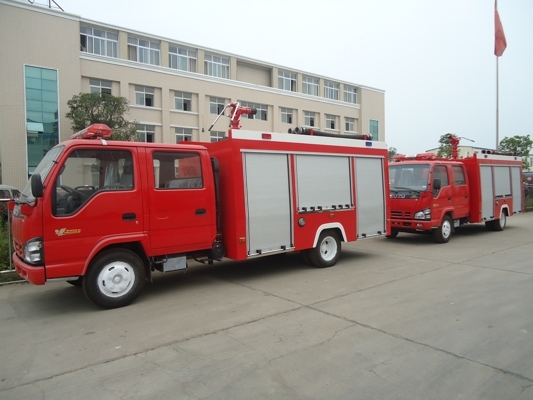 Water Tank Fire Fighting Truck Adopting module design ideology, framework structure, reinforced aluminium alloy plate and high-quality carbon structural steel molded, light weight, smooth surface. 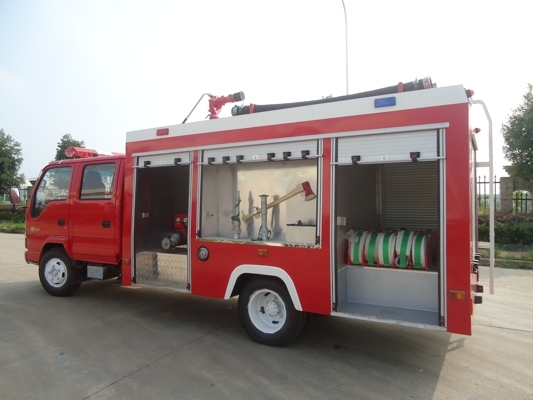 Looking for ideal Fire Fighting Truck Manufacturer & supplier ? We have a wide selection at great prices to help you get creative. 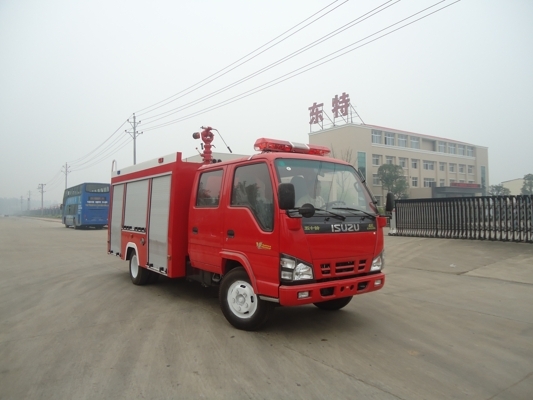 All the Water Tank Fire Truck are quality guaranteed. 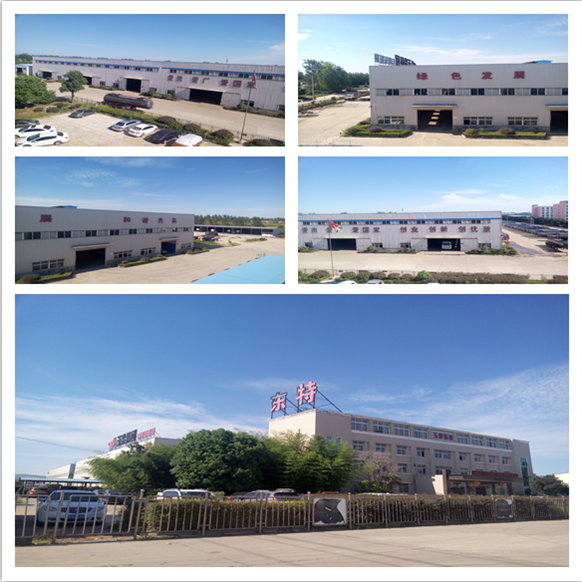 We are China Origin Factory of ISUZU Fire Truck. If you have any question, please feel free to contact us.